Activate only during the turn a Defense Position monster you control was attacked, but not destroyed by battle. Draw 1 card and reveal it. 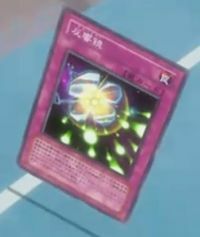 If that card is a Monster Card, inflict damage to your opponent equal to that card's Level x 300. This page was last edited on 8 July 2017, at 09:26.